Uganda’s economy was generally stable in 2018. The economy continued to recover as witnessed by the decline in Non-Performing Loans and an increase in private sector credit growth. Private sector credit increased to 12.2% going by September numbers while the ratio of NPLs to total loans in the banking industry reduced from 5.6% as at the end of 2017 to 4.4 percent as at the end of September 2018. It could further reduce by the end of December 2018. Additionally, inflation has been subdued throughout the year, remaining within Bank of Uganda’s 5 percent target. The Central Bank Rate (CBR), a benchmark lending rate for commercial banks has generally remained at 9%, only increasing to 10% in October. The Central Bank attributed the increase to the upward trajectory in inflation. However, it (the CBR) was maintained at 10% in December. Consequently, interest rates charged by commercial banks have also come down although they still remain high. None the less, while many fundamental of the economy have remained positive, the Ugandan Currency (the Uganda Shilling) has remained weak against all major currencies. It has been trading in the range of 3,700-3,800 throughout the year. Overall, the key fundamentals of the economy have remained strong. Bank of Uganda (BoU)’s Composite Index Economic Activity (CIEA) indicates stronger economic performance in the first 10 months of 2018, with an annualized growth rate of 7-8 percent. “This is an indication that economic growth in FY 2018/19 could be higher than the previous projection of 6 percent,” Prof. Emmanuel Tumusiime-Mutebile, the BoU Governor said earlier December. He added that the strong growth is in part supported by the accommodative monetary stance and the associated rebound in private sector credit extension, ensuing strong domestic demand conditions, multiplier effects of public infrastructure investments and improved agricultural productivity. “The positive growth is expected to be sustained over the coming years, partly driven by public infrastructure investment,” he added. 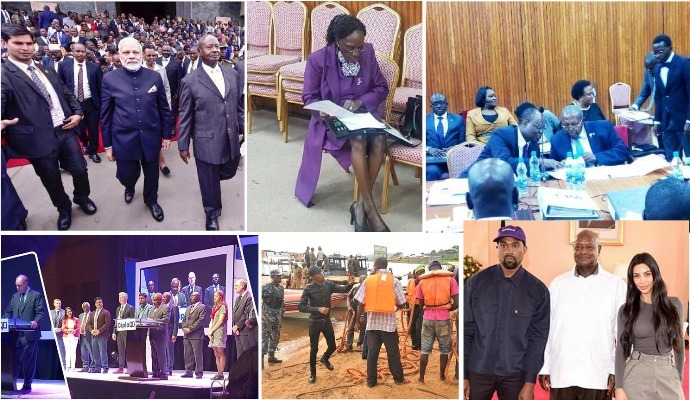 Against the above background, it is important to look at the events and moments that positively or negatively shaped Uganda’s economy in 2018. 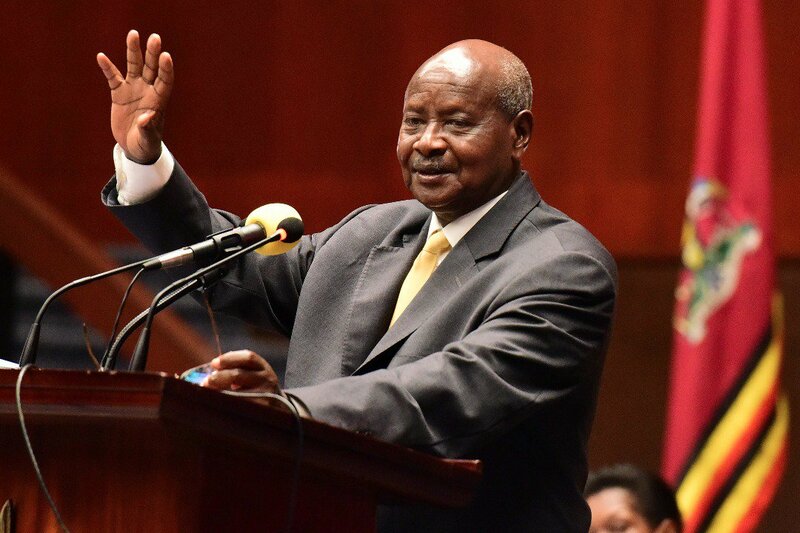 There are political and social events that affected Uganda’s economy such as the Arua fracas and eventual arrest of top politicians including Kyandondo East MP, Robert Kyagulanyi aka Bobi Wine, the arrest former Inspector of Police, Gen. Edward Kale Kayihura and the brutal murder of Arua Municipality MP, Ibrahim Abiriga, Susan Magara, Assistant Inspector of Police, Muhammad Kirumira and other unexplained murders that continue to haunt the country. However, this article will focus on the major business events and moments that positively and negatively shaped Uganda’s economy. Indian Prime Minister Narendra Modi visited Uganda in July, to the delight of many Indian investors in the East African country. His visit was important because Indians have played a big role in Uganda’s economy for many decades. Further, India has many potential investors and tourists that can boost Uganda’s economy further. “It is region of growing trade and Investment. Our efforts will always be driven by your priorities,” he said. He also promised that his country would make healthcare more affordable and accessible to many Ugandans. He also revealed that India had announced two credits; USD141M and USD64M intended to steer Uganda’s agriculture, healthcare and education. His visit will go a long way in cementing bilateral relationship between the two countries. It will also boost Uganda’s tourism. 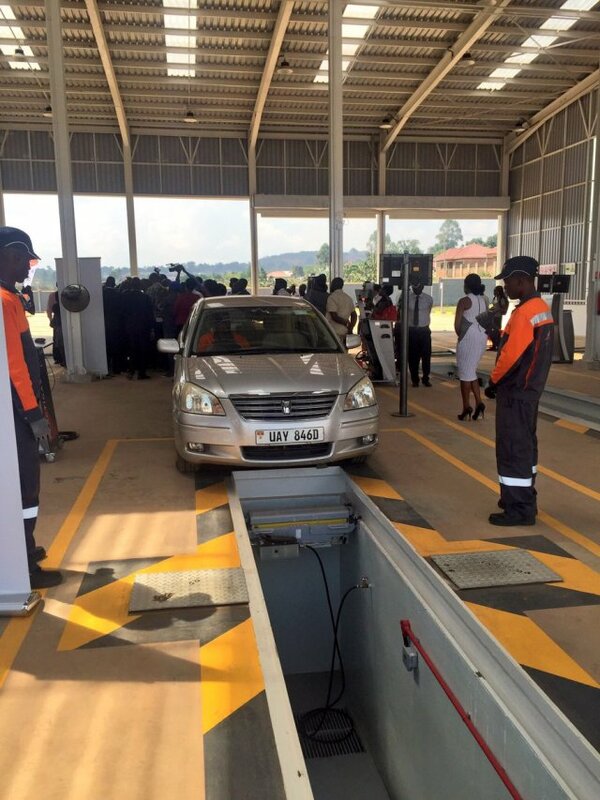 Uganda had anticipated seeing her first oil flow in 2020. However, the Uganda-Tanzania crude oil pipeline will delay the oil production date since final investment decisions are yet to be made, the Ugandan minister for energy and mineral development, Irene Muloni said towards the end of the year. It was expected that the companies would have made their final investment decision in 2017, meaning by now they would have started constructing the pipeline, which was scheduled to be ready by 2020, but this has not been the case. Government says oil production is now expected in 2021/2022 while oil volumes have been revised downwards to 6 billion barrels from the earlier reported 6.5 billion barrels. Cipla Quality Chemical Industries Limited (CiplaQCIL), a pharmaceutical manufacturing company in Uganda announced its Initial Public Offer (IPO) by floating a total of 657,179,319 shares on to the Uganda Securities Exchange (USE) in the latter part of 2018. The total shares floated represent 18% of all the shares owned by the company. Cipla Ltd, the Indian pharmaceutical giant manufacturers will remain as the majority shareholders with 51%, having floated 11% of its shares it holds in CiplaQuality Chemicals Industries. Initially, it owned 62% of the company while Quality Chemicals, who remained with 31% shares, was owning 38%. It means that Quality Chemicals floated 7% of its 38% shareholding. It was an important milestone for Uganda’s capital markets since the Bourse had literally been dormant for the last six years, owing to the fact that the last company to list on USE was Umeme on 30th November 2012. Emmanuel Katongole, the Executive Chairman of CiplaQCIL said the IPO marks a great milestone for them to share their success story with Ugandans after being under private ownership for over 13 years. Will this encourage other companies to list? This is perhaps the greatest business moment of the year, owing to the importance of a Central Bank and the sensitivity of the banking sector. Bank of Uganda (BoU) has been in the news-for the bad reasons throughout the year. In the second part of 2018, the Parliamentary Committee of Commissions, Statutory Authorities and State Enterprises (COSASE) started probing BoU officials in relation to queries raised in the special audit report by the Auditor General over the controversial closure of seven defunct banks by the Central Bank. Before the probe, BoU moved fast and fired Justine Bagyenda, the former Executive Director-Supervision at BoU, who is at the centre of the fraud surrounding the controversial closure of some banks. The seven banks in question include Teefe Bank, International Credit Bank Limited, Greenland Bank, Co-operative Bank, National Bank of Commerce (NBC), Global Trust Bank and the most recent Crane Bank Limited. BoU never wanted to be probed arguing that the Central Bank was independent. However, COSASE defeated this argument and the probing went on. BoU officials’ ineptness and fraud tendencies have been exposed to the core before cameras. The visit of American celebrity entertainer Kanye West, also known as Ye to Uganda alongside his wife Kim Kardashian, a fashion designer was one of the most trending topics in the country. Kanye West met with President Yoweri Museveni at State House Entebbe during which, according to Museveni, they held “fruitful discussions” on “how to promote Uganda’s tourism and the arts”. Kanye’s endorsement of Uganda is expected to attract more international visitors to Uganda especially from America. Tourism is Uganda’s leading foreign exchange earner followed by coffee. The Ugandan government is convinced that Kanye and his family will continue marketing Uganda after their vacation since they tasted and experienced its natural beauty. 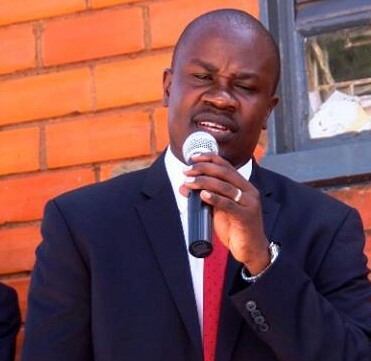 Kanye pledged to work with the government to construct a hospitality training institute in Uganda to boost the tourism industry, according to Tourism Minister, Ephraim Kamuntu. In a related development, Miss Uganda, Quiin Abenakyo also marketed the country at no cost at the international level. She competed well at the Miss World beauty pageant, finishing third and emerging Miss World Africa – a first for Uganda. Although she missed out on this year’s top crown, with Mexico’s Vanessa Ponce de Leon taking it, Abenakyo won the continental crown by beating Mauritius’ Murielle Ravina to become Miss World Africa. She wrapped up a dream-come-true with a third-place finish ahead of Belarus’ Maria Vasilevich and Jamaica’s Kadijah Robinson. Her impressive performance was widely reported by the local and international media. Abenakyo has not only raised a new bar, upon which the country’s future beauty queens will be aiming at, but she will be marketing the country in the next one year as Miss Uganda and Africa at large. In November, a cruise boat capsized on Lake Victoria, leaving over 30 people dead. However, this had a dent on Uganda’s tourism sector, with government admitting that the boat was not only faulty, but also operating illegally. There was a party going on aboard the boat, with loud music, at the time of the accident. Unfortunately, many people who drowned didn’t have life jackets. “The operators of this boat will be charged with criminal negligence and manslaughter, if they have not already been punished for their mistake by dying in the accident,” Museveni said. This accident left Uganda exposed on its readiness to deal with such incidents; there’s no well functioning rescue unit/ team in the country to handle such incidents. Among those rescued was Prince Daudi Kintu Wasajja, a brother of Ronald Mutebi, the king of Buganda kingdom. This accident will probably see government and private boat operators come up with stringent safety measures going forward. In March 2018, Uganda hosted the 4th World Customs Organization (WCO) Global Authorized Economic Operators (AEOs) conference. This was yet another event to market Uganda as a top tourist and investment destination. The event attracted heads of revenue bodies across the world. It attracted over 1000 delegates; 600 international and 400 national (from Uganda). The WCO Global AEO Conference which brings together players in International Trade Facilitation was held in Uganda and Africa for the first time, URA Commissioner Genera Doris Akol said. Although things haven’t been good for the regulator of Uganda’s banking sector-BoU, a number of commercial banks registered huge milestones in the year that is ending. Ecobank, KCB, Equity and UBA marked 10 years of doing business in Uganda. These banks entered the Ugandan market around the same time and have since broken into the profit-making zone. This was a big milestone to them since one of the banks that entered the market around the same time-Global Trust Bank collapsed in 2014. Further, in these years, other two banks; National Bank of Commerce and Crane Bank Limited have since been controversially collapsed. Additionally, Orient Bank marked 25 years of serving Ugandans this year, while Housing Finance Bank celebrated its 50th anniversary. Earlier in December, Proparco, the French Development Finance Institution, extended financing of USD 15m (Shs55.9bn) alongside USD 15m (Shs55.9bn) from FMO (the Dutch Development Bank) to dfcu, Uganda’s second largest bank by assets. The facility is primarily earmarked for financing of small and medium-size businesses in line with the bank’s SME-oriented strategy. “The operations of SMEs occupy an admirable position in the Uganda’s economic landscape. 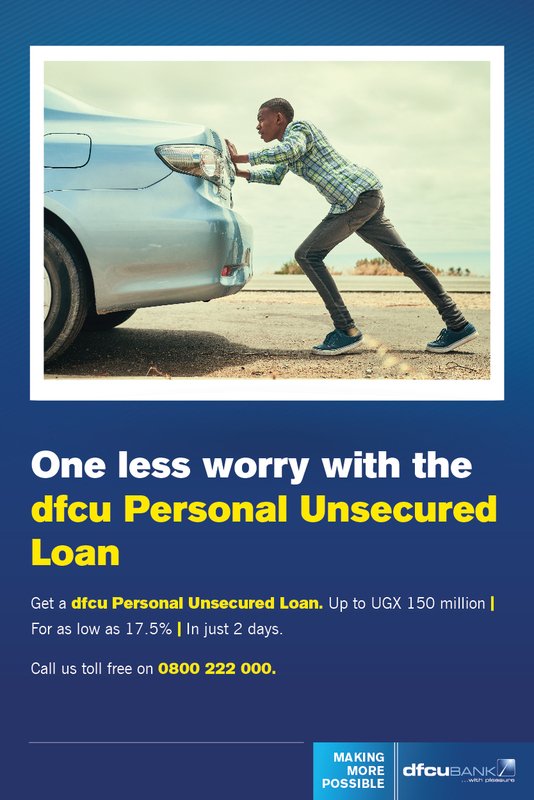 Despite being a key driver of economic growth, long term development finance remains a huge challenge,” said Mathias Katamba, Incoming Chief Executive Officer, dfcu Bank. The revival of Uganda Airlines, a national carrier became a reality when the government of Uganda signed a Memorandum of Understanding with Airbus for two A330-800neo, the new version of the best-selling A330 widebody airliner, featuring new wings new Rolls-Royce’s latest-generation Trent 7000 engines, new systems and a new Airspace cabin interior. Uganda Airlines plans to use the A330-800neos to build its international long-haul network with the aircraft offering cutting-edge technologies along with most efficient operations. The aircraft will feature a three-class cabin layout comprising 20 Business, 28 Premium Economy and 213 Economy seats. The revival of the national carrier is expected to bolster tourism sector, but critics say many African airlines are making losses and Uganda will not be any different. They argue that this costly venture is simply a waste of taxpayers’ money.